For pushing tough love for their troubled country. 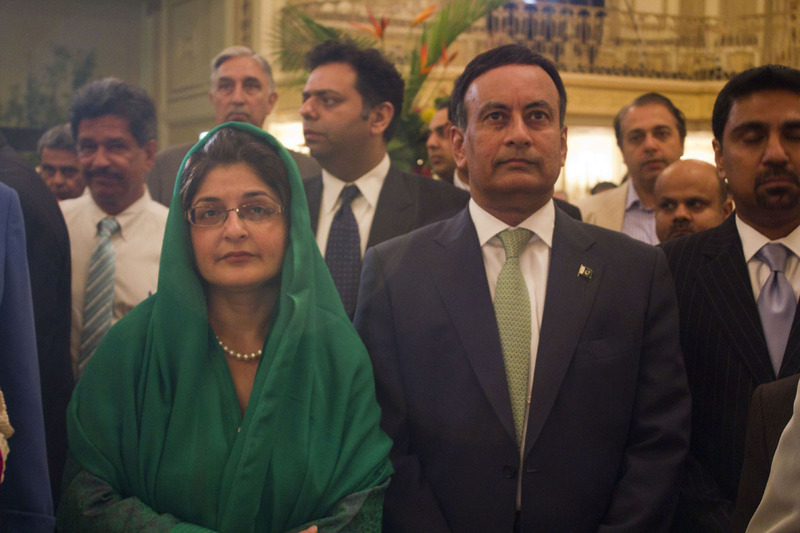 Husain Haqqani and Farahnaz Ispahani have spent their careers fighting the slow-motion radicalization of Pakistan — even as it became increasingly obvious that the deck was stacked against them. The husband and wife, now in self-imposed exile in the United States, were two of Islamabad’s most prominent interlocutors with Washington as jihadists spread throughout Pakistan’s tribal areas and Osama bin Laden was discovered a mile away from the country’s version of West Point. Now, after a career defending Pakistan’s deeply unpopular ties to the United States, Haqqani is beginning to think it’s time for a geopolitical divorce. “If in 65 years, you haven’t been able to find sufficient common ground to live together, and you had three separations and four reaffirmations of marriage, then maybe the better way is to find friendship outside of the marital bond,” Haqqani, a scholar of the Pakistani military, said in August. Ispahani, meanwhile, has tried to push Pakistan toward a frank discussion of its internal demons. The real struggle in Pakistan, she wrote this year, is “the systematic elimination” of anyone who stands up to the country’s generals, who have created “a militarized Islamist state.” She found out what standing up to them means in Pakistan’s parliament, where she was a leading voice calling for the repeal of the country’s notorious blasphemy laws — an explosive cause that has cost several of Pakistan’s leading liberal politicians their lives at the hands of Islamist killers. Farahnaz Ispahani in the list of NewsWeek for 2012 of Pakistani women who are making a difference. From the Kharotabad killings to the Parachinar massacre, President Zardari’s well-respected spokesperson is one of the clearest and most consistent voices for human rights and justice in the National Assembly.